Robert Rebein argues that much literary fiction of the 1980s and 90s represents a triumphant, if tortured, return to questions about place and the individual that inspired the works of Hawthorne, Melville, Twain, Faulkner, and other giants of American literature. 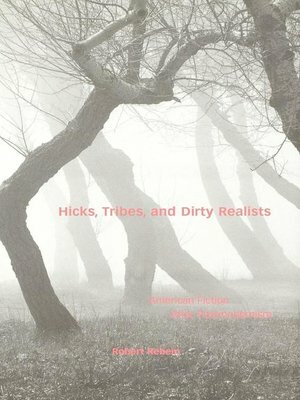 Concentrating on the realist bent and regional orientation in contemporary fiction, he discusses in detail the various names by which this fiction has been described, including literary postmodernism, minimalism, Hick Chic, Dirty Realism, ecofeminism, and more. Rebein's clearly written, nuanced interpretations of works by Raymond Carver, Cormac McCarthy, Don DeLillo, Louise Erdrich, Dorothy Allison, Barbara Kingsolver, E. Annie Proulx, Chris Offut, and others, will appeal to a wide range of readers. Robert Rebein is assistant professor of English and creative writing at Indiana University-Purdue University.